Harry McCann has been responsible for developing and presenting hundreds of police, correctional and other law enforcement training programs, training thousands of practitioners. His unique background has proven invaluable to those wishing to evaluate practices and procedures based on nationally accepted law enforcement standards. Mr. McCann has the knowledge, skills and ability to analyze any and all training issues that may arise and to evaluate and recommend a course of action. His accomplishments include 100% compliance of all American Correctional Association training standards while working with the Bucks County Department of Corrections, successful accreditation by the Penna. Department of Corrections for the Bucks County Department of Corrections in-service and academy programs, certification as an instructor by the Municipal Police Officers Education and Training Commission and the Penna. Department of Corrections for the Commonwealth of Pennsylvania for its police and correctional academy’s and as an adjunct instructor at numerous colleges and universities in the Philadelphia, Pennsylvania area for over 30 years. 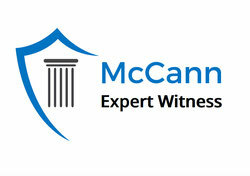 McCannExpertWitness has provided police, correctional and law enforcement consultation services to law firms, police departments, correctional institutions and municipalities throughout Pennsylvania, New Jersey, Maine, Georgia, Maryland, Indiana and Delaware.